Taira blinked as he saw that aurora in the air, if anything it was a pretty spell. As it drew closer he noticed a scent coming off of it (though it was likely his nose was the only one perceiving it) If he had t compare it to something he'd say that it reminded him of peppermint. Like those candies he came across in his travels through Equestria. He wrinkled his nose as the spell drew closer and then surrounded him! He felt a tiny hint of panic. Did he fall into some elaborate trap? His alarm soon vanished as he felt the magic soaking into his form... it was like aloe on a burn, except all over. He felt tension, stress and exhaustion for his very long life melt away. His nose still itched and he was still a tad congested but he felt more energetic and less like something was sapping his strength! To test whether of nor this sensation was fleeting he stretched out his legs and trotted in place... then did one lap around Night Breeze, his smile growing all the while. "This spell is incredible!" He said with more vigor than earlier, "I feel like I could run across the mountain range and back! Nose is still a little stuffy, but I can manage and it's hardly the first time I've dealt with it." Perhaps the lack of complete cleansing had more to do with the fact his equine visitor had calculated the spell for the size he appeared to be to her, and not the size he truly was. For the moment it wasn't worth revealing his true nature to the kind tourist, but still a thank you was definitely in order! He looked up and down over Night Breeze, "Um... Maybe we should get something to eat or drink before I start showing you around... you look tired." Rivulet had left his mountain abode for the time being. As he was a cartographer the need to travel was dear to his heart. Nothing was more fascinating to him than experiencing a foreign land, with unknown cultures, and species to meet and learn from. The eastern dragon's body undulated through the skies, his deep blues and blacks standing out against the semi-clouded pale blue void above him. In the bag that was strapped just behind his front legs rested quill, parchment, compass, and all the other supplies a map maker could need. These would be for rough sketches and ideas, not for actual maps. No, those were made alone in his mountain home. One map would take him months of painstaking labor. It was meticulous work and Rivulet thrived off of it. Getting each and every detail down, keeping the scaling correct, adding artistic flourish where he deemed fit. Today he would be going back to an area that he knew quite well. He had been around more than once and had a chance to meet a variety of the populace. He knew of a certain bouncy pink pony in town that would certainly offer him something for his sweet tooth! Yes Pinkie Pie was a gem and he counted himself forever lucky to have met the mare. At first of course he had been standoffish, wanting little to do with her light hearted ways. But he knew an old dragon such as himself could be weighted down by life and a bit of frivolity would be just what he needed to keep his head on straight. And so the eastern dragon wove his way down through the clouds to loft onto the road leading into Ponyville. He moved along, nodding kindly to those he passed. He had visited more than once so most ponies were aware that he was of the benign nature and certainly not planning on bringing fire of wrath upon them. As he moved further into town he happened upon a sweet scent. Something he had not experienced before. Could this be something new of Pinkie Pie's creation? He moved on to find that the smell was not coming from the home of the pink pony but from a winged deer that was poking around near the shops in town. Ah! Someone new to learn about perhaps? He made his way carefully up to the creature. A peryton if he remembered correctly. He had met one or two in his long days and found himself anxious to meet this one... he seemed quite different than the others he had encountered. "Hello there?" His voice had a deep booming effect though he tried to speak as softly as he could. The large dragon knew his appearance could be off putting to those who had not met him before. Applejack took several deep breaths, trying to keep herself low enough to not disturb the scene in front of her. It was oddly cathartic, while still being heartbreaking. Applejack watched and listened to Rainbow Dash's...breakdown, for lack of a better word. It may as well have been the perfect one considering how deep Rainbow had sunk and how quickly it had happened. She had always been strong on the outside but capable of fracturing inside. Self-confidence was never her strong suit despite how much she seemed to possess. Applejack had heard about her backstage meltdown at the Best Young Fliers competition all those years ago. Ever since then she had appeared on the surface t be headstrong and in command of herself to a great degree. But Applejack knew the truth. Ponies evolved but the core was the core. Rainbow Dash was going to have her insecurities but she worked to keep them down and away from her mind. Strong waves of confidence almost always hid that the bedrock was full of fear. The fear of failure, and here she was thinking she had failed. Applejack took another deep breath and started to walk towards her mare, picking up the confused and sticky Zap Apple in the process. He looked like he was about to cry. 'Filly see, filly do' as the saying went, even if he wasn't a filly. She shushed him and held him tight before placing him on her back. He held tightly to her mane and sniffled. There would be tears no doubt. You can't stop a foal when the tears were on their way, merely delay their arrival. Still, she had to talk to Rainbow. She wasn't a mare who cried easily and when she did so, she cried on the inside. That didn't mean that when she spoke her words weren't fragmented and broken in their own way, which was soon apparent. She reached out and pulled on Rainbow's shoulder, keeping the flightly pegasus firmly in her grasp. "Rainbow Dash, calm down. Nopony's sendin' anypony away. Like it or not, yer stuck with me an' Zap Apple here forever," she said as Zap Apple started to cry, his tears a long time coming. 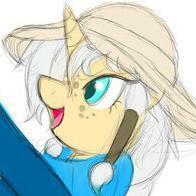 She sat next to Rainbow Dash and held onto Zap Apple, patting him on the back. She wanted to dig at Rainbow for causing all this mess, but it wasn't the time. "Listen sugarcube, Ah know this is rough and tough an' it don't feel good. That's just how it is sometimes. Knowin' what we want and goin' for it, well, that's what makes us, us, right? We all have dreams an' wants. Yer lucky enough ta live yours. Ah'm lucky enough ta live mine. Y'all just need to think on whether whats in yer heart is what yer sayin' out loud," she said as she pulled Rainbow in closer, giving her a hug even as Applejack continued to sit next to her and stared off. "You ain't a bad filly. Yer just scared. It's no sin ta be afraid, 'specially when the road gets bumpy." In the wake of last week's incident, this is friendly a reminder for everyone to please rotate your passwords for Canterlot regularly and ensure that they do not overlap with other sites and accounts. For additional security, it is also advisable to regularly rotate your email account password. We have updated our site software with the most up to date security patches, but there is still a need for individual users to safeguard their own account information. Passwords may be changed via the Overview tab in the Account Settings page. You may access this using the drop-down menu from your Display Name in the upper right corner of the site UI. If you have forgotten your password, please use the automated password recovery tool at sign-in. For information on strong passwords and a robust password generating tool, you may visit Strong Password Generator. Stay safe, everypony.